I thought for a moment I was in the Old South of years gone by. It was a momentary feeling -- well, it did last for a few minutes. 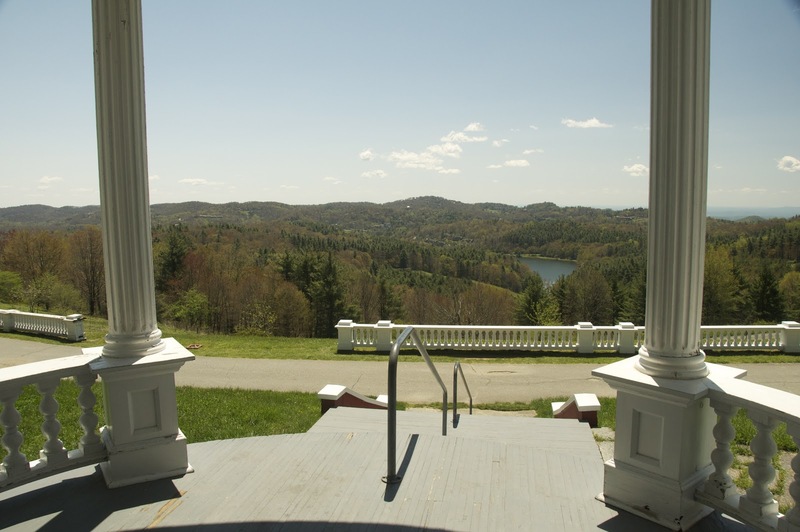 As I stood on the porch and looked across the vast expanse that included valleys and mountains, I felt I could hear the strains of "Dixie" flowing across the countryside. 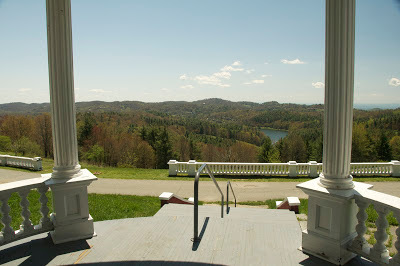 And the place with such a view is Flattop Manor in the Moses H. Cone Memorial Park just outside Blowing Rock, NC. The house is not ante-bellum, and didn't have anything to do with the Civil War. But it looks like it could have. Work on the house began in 1899, part of an estate that included some 3,600 acres. The residence has 23 rooms in its 13,000-square-foot area. The estate was created by Moses H. Cone (known as the Denim King) and his wife Bertha. Moses and his brother Ceasar were businessmen, the sons of German-Jewish immigrants who had a wholesale grocery business in Baltimore. They traveled the South to supply stores with textiles. And they later decided to expand their holdings and opened businesses in Greensboro, NC. The brothers efforts were extremely successful and they shared that success with the communities in which they lived. 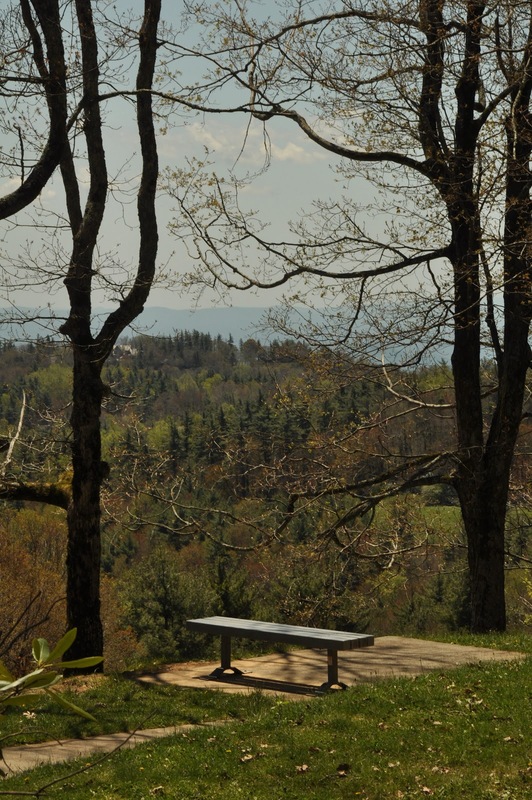 The estate is now part of the Blue Ridge Parkway system and the house serves as the parkway craft center.